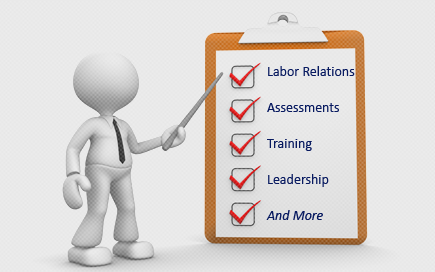 Labor Relations News Update May 15, 2014 | Oliver Bell, Inc. The Summary of NLRB Decisions is provided for informational purposes only and is not intended to substitute for the opinions of the NLRB. Inquiries should be directed to the Office of Public Affairs at Publicinfo@nlrb.gov or 202‑273‑1991. Ethicon, A Johnson & Johnson Co. (22-CA-089085; 360 NLRB No. 104) Somerville, NJ, May 5, 2014. The Board adopted the Administrative Law Judge’s finding that the Respondent did not violate Section 8(a)(5) when it refused to provide the Union with information concerning subcontracting, including related labor costs. In doing so, the Board affirmed the judge’s conclusion that that the Union failed to establish the relevancy of its information request. Charge filed by Local 630, New York New Jersey Regional Joint Board, Workers United, SEIU. Administrative Law Judge William Nelson Cates issued his decision on May 28, 2013. Members Miscimarra, Johnson, and Schiffer participated. Laborers International Union of North America, Local 265 (Henkels & McCoy, Inc.) (09-CD-116000; 360 NLRB No. 102) Cincinnati, OH, May 5, 2014. In this jurisdictional dispute under Section 10(k) of the Act, the Board awarded the work in dispute to employees represented by the Laborers International Union of North America, Local 265, based on the factors of employer preference, area and industry practice, and economy and efficiency of operations. Charge filed by Henkels & McCoy. Hearing Officer Tamilyn A. Thompson issued her report on December 20, 2013. Chairman Pearce and Members Johnson and Schiffer participated. Seedorff Masonry, Inc. (25-CA-088910; 360 NLRB No. 107) Strawberry Point, IA, May 7, 2014. SW General, Inc. d/b/a Southwest Ambulance (28-CA-094176; 360 NLRB No. 109) Mesa, AZ, May 8, 2014. A Board panel majority consisting of Chairman Pearce and Member Hirozawa adopted the Administrative Law Judge’s finding that the Respondent violated Section 8(a)(5) and (1) by unilaterally discontinuing bi-annual longevity payments to unit employees after the parties’ collective-bargaining agreement expired. Member Miscimarra, dissenting, views the contract language as requiring the issuance of longevity payments only when the contract is in effect. The panel majority also adopted, in the absence of exceptions, the Judge’s finding that the Respondent violated Section 8(a)(1) by informing the Union, after the fact, of its decision to cease issuing longevity payments. Contrary to his colleagues, Member Miscimarra would not adopt this 8(a)(1) violation finding, on the grounds that the complaint did not allege an 8(a)(1) violation based on such a statement, the complaint was not amended at the hearing to allege such a violation, and the parties did not litigate this issue. Charge filed by International Association of Fire Fighters Local I-60, AFL-CIO. Administrative Law Judge Donna N. Dawson issued her decision on August 8, 2013. Chairman Pearce and Members Miscimarra and Hirozawa participated. Washington Hospital Center Corporation d/b/a Medstar Washington Hospital Center (05-CA-095883; 360 NLRB No. 103) Washington, DC, May 9, 2014. The Board affirmed the judge’s finding that the Respondent violated Section 8(a)(5) by failing to provide the Union with requested non-confidential information. Member Johnson found reports of peer review bodies to be confidential based on a District of Columbia statute designating them as confidential, but found that the Respondent still violated Section 8(a)(5) by failing to engage in accommodative bargaining concerning the reports. Administrative Law Judge Arthur J. Amchan issued his decision on September 11, 2013. Charges filed by National Nurses United. Chairman Pearce and Members Johnson and Schiffer participated. Durham School Services, L.P. (15-RC-096096; 360 NLRB No. 108) Milton, Pace, and Navarre, FL, May 9, 2014. A Board panel majority consisting of Chairman Pearce and Member Schiffer adopted the Regional Director’s recommendation to overrule an objection to an election, alleging that the Union’s distribution of a campaign flyer containing pictures of eligible voters and statements misrepresenting their intent to vote for the Union did not raise a substantial and material factual issue under Midland National Life Insurance, 263 NLRB 127 (1982), and therefore did not constitute objectionable conduct. The majority also denied the Employer’s motion to reopen the record. In dissenting as to this objection, Member Miscimarra would find that a party engages in objectionable conduct when it publicizes how specific, named employees intend to vote, unless the party obtained express consent from those employees to disclose how they intended to vote. He would remand for a hearing and grant the motion to reopen. By unanimous vote, the Board panel adopted the Regional Director’s recommendation to overrule the Employer’s objection alleging that the Board agent handling the election compromised the integrity of the election in various ways when the agent carried the election booth and ballot box to the Employer’s parking lot in order to permit a disabled employee to cast a ballot. Chairman Pearce and Members Miscimarra and Schiffer participated. Healthcare Services Group, Inc. (8-RD-120778 and 120779) Omro, WI, May 5, 2014. No exceptions having been filed to the hearing officer’s overruling of objections to elections held in two separate units of the Employer’s employees on February 13, 2014, the Board adopted the hearing officer’s recommendations and found that a majority of the valid ballots had not been cast for SEIU Healthcare Wisconsin in either unit, and therefore it is not the exclusive collective-bargaining representative of the employees in either unit. MCI Communications Services, Inc. d/b/a Verizon Business (04-RC-123386) Basking Ridge, NJ, May 7, 2014. Order denying the employer’s request for review of the Regional Director’s decision and direction of election. Petitioner Communication Workers of America, District 2-13, AFL-CIO. Chairman Pearce and Members Johnson and Schiffer participating. Member Johnson stated that he denied the request for review as the employer (a) withdrew both its motion to dismiss the petition and its petition to revoke the subpoena, upon which much of its argument was based, before the hearing, so that the petition and motion could not and did not become part of the record, (b) stipulated for purposes of this case to single employer status with the other relevant Verizon entities, and (c) did not present substantial issues warranting review regarding any remaining legal issues. Onyx Management Group LLC (29-RC-123189) Jericho, NY, May 7, 2014. Order denying Employer’s request for review of the Acting Regional Director’s decision and direction of election on the ground that it raised no substantial issues warranting review. Petitioner-International Union of Operating Engineers, Local 30, AFL-CIO. Chairman Pearce and Members Johnson and Schiffer participated. Reinhart Foodservice, L.L.C., d/b/a Agar (01-CA-106712) Taunton, MA, May 5, 2014. No exceptions having been filed to the Administrative Law Judge’s findings that the Respondent had not engaged in any unfair labor practices, the Board adopted the Judge’s dismissal of the complaint. Charge filed by General Teamsters, Chauffeurs, Warehousemen & Helpers of Brockton & Vicinity, Local 653. Administrative Law Judge Joel P. Biblowitz issued his decision on March 24, 2014. Mi Pueblo Foods (32-CA-064836) San Jose, CA, May 6, 2014. The Board dismissed as moot the request of the law firm of Weinberg, Roger & Rosenfeld that the Board cede jurisdiction to the State of California during the federal government shutdown. Cooling For Less, Inc. (28-CA-105006) Phoenix, AZ, May 8, 2014. No exceptions having been filed to the Administrative Law Judge’s findings that the Respondent had engaged in certain unfair labor practices, the Board adopted the Judge’s findings and conclusions and ordered the Respondent to take the action set forth in the Judge’s recommended Order. Charge filed by an individual. Pacific Bell Telephone Company d/b/a AT&T and Nevada Bell Telephone Company d/b/a AT&T (20-CA-080400, et al. ; JD(SF)-13-14) State of California. Errata for Administrative Law Judge John J. McCarrick’s decision issued on April 23, 2014. Charges filed by Communications Workers of America, AFL-CIO. Mazzara Trucking & Excavating Corporation (04-CA-116883; JD-25-14) Wrightstown, NJ. Administrative Law Judge Robert A. Giannasi issued his decision on May 7, 2014. Charge filed by Local 172, Laborers International Union of North America. International Alliance of Theatrical Stage Employees, Moving Picture Technicians, Artists and Allied Crafts of the United States, its Territories and Canada, Local 720, AFL-CIO, CLC (Global Experience Specialists) (28-CB-107693 and 113281; JD(SF)-19-14) Las Vegas, NV. Administrative Law Judge Lisa D. Thompson issued her decision on May 7, 2014. Charges filed by individuals. Paragon Systems, Inc. (05-CA-116070; JD-26-14) Herndon, VA. Administrative Law Judge Arthur J. Amchan issued his decision on May 8, 2014. Charge filed by Federal Contract Guards of America (FCGOA) International Union. Steve Zappetini & Son, Inc. (20-CA-114390; JD(SF)-21-14) San Rafael, CA. Administrative Law Judge Mary Miller Cracraft issued her decision on May 8, 2014. Charge filed by International Association of Bridge, Structural, Ornamental and Reinforcing Iron Workers, Local 790, AFL-CIO. Durham School Services, L.P. (05-CA-106483; JD-30-14) Spring Grove, PA. Administrative Law Judge David I. Goldman issued his decision on May 9, 2014. Charge filed by Teamsters Local Union No. 776. Total Security Management, Illinois 1, LLC (13-CA-108215; JD-28-14) Oakbrook Terrace, IL. Administrative Law Judge Arthur J. Amchan issued his decision on May 9, 2014. Charge filed by International Union Security Police Fire Professionals of America (SPFPA). Executive Summary: On May 1, 2014, the National Labor Relations Board (NLRB) issued an order finding that Piedmont Gardens, a retirement community, violated § 8(a)(1) of the National Labor Relations Act (NLRA) when it implemented and enforced a policy restricting off-duty employee access to its property without prior supervisor authorization. The issue arose after a union representative attempted to meet with two off-duty employees in the employee break room. The two employees subsequently were sent home for attending the meeting in violation of the employer’s off-duty access rule. The collective bargaining agreement in place between Piedmont and the Service Employees International Union (SEIU) allowed a field representative to visit the property at reasonable times provided the representative met with employees during their free time and in non-work areas. An agreement also permitted the field representative access to the employee break room. Despite this agreement, Piedmont implemented a rule restricting access to off-duty employees without prior supervisor approval and posted a notice stating that “the union is not permitted to hold meetings in the employee break room.” The SEIU challenged the rule as violating § 8(a)(1) of the NLRA. The Board found the rule to be unlawful because it gave Piedmont management unlimited discretion to decide when and why employees may access the property. The Board ordered Piedmont to withdraw the policy requiring supervisor approval for off-duty access to the property; to stop informing employees that the union could not use the break room for meetings; to refrain from interfering with its employees’ exercise of rights under § 7 of the NLRA and; finally, to post a notice informing employees of the violation and explaining the steps taken to rectify the violation. If your business needs require a policy restricting off-duty access to your property, ensure that it applies to all employees, regardless of the purpose of their visit. Based on this decision, a rule restricting such access will be held valid only if it: (1) limits access solely with respect to the interior of the facility and other working areas; (2) is clearly disseminated to all employees; and (3) applies to off-duty employees seeking access to the facility for any purpose. See American Baptist Homes of the West d/b/a Piedmont Gardens and Service Employees International Union, United Healthcare Workers-West, 32 CA-078124 and 32-CA-080340, 360 NLRB No. 100 (May 1, 2014), citing Tri-County Medical Center, 222 NLRB 1089, 1089 (1976). If you have any questions regarding this Alert or other labor or employment related issues, please contact Adam Dougherty, adougherty@fordharrison.com, a partner in our Dallas office, or Suheily Davis, snatal@fordharrison.com, an associate in our Chicago office. You may also contact the FordHarrison attorney with whom you usually work. HARVEY | About 460 workers went on strike Monday at the Allied Tube and Conduit plant after company management proposed changes, including freezing pension benefits and increasing out-of-pocket expenses for health insurance. Bridgeview-based United Steelworkers of America Local 9777-18 rejected a proposed contract with 150 changes, including taking away employees’ ability to choose which jobs and shifts they will work, said local vice president Steve Kramer. At least 50 of the striking workers hail from Northwest Indiana. Allied Tube and Conduit and the union have been bargaining over the past year, after their contract expired in April 2013, said Lisa Winter, communications director for parent company Atkore International. The 55-year-old company operates 35 manufacturing and distribution facilities, including the 4 million-square-foot Harvey mill that makes mechanical and electrical tubing for new commercial buildings. The company still is operating the factory at 16100 S. Lathrop Ave. and meeting all its obligations to its customers, Winter said. United Steelworkers and Allied Tube and Conduit had agreed to continue without a contract last year, and the work stoppage took place after the union bargaining committee rejected a tentative agreement. Currently, no talks are taking place. Local 9777-18 members are enduring the wind, cold and rain outside the mill in the hope of returning to the bargaining table soon, Kramer said. The union objects to proposed concessions in vacation pay, overtime rules, job combinations, work rules, attendance policy, grievance procedures, insurance, pensions and several other areas, according to its Facebook page. Workers are upset with several proposed concessions, such as that the company would stop contributing to the pensions of existing employees and offer new employees no pension benefits, and that workers would have to pay $100 extra a month to keep a spouse on the company health care plan if that spouse’s employer also offered insurance. They are concerned with safety, since the proposed contract would strip them of the ability to choose their job and would require them to take on additional roles that could stretch them thin, Kramer said. OSLO, May 14 (Reuters) – A strike by Norwegian oil workers could shut two ExxonMobil fields in the North Sea next month if talks over pensions break down in mediation, labour union SAFE said on Wednesday. About 190 ExxonMobil workers could down tools from June 16 at the Ringhorne and Balder fields if the company fails to give better pension terms for 31 workers, said Hilde-Marit Rysst, the head of SAFE. Talks between oil firms and two key unions broke down this month, raising the risk of a strike similar to that in 2012, when a 16-day strike across Norway’s oil sector cut production by 13 percent and pushed oil prices above $100 a barrel. The latest dispute would have a much smaller impact initially because the two ExxonMobil fields produced only 46,000 barrels per day (bpd) last year, a relatively small figure for both Norway and the company, but SAFE warned that the industrial action could be widened if necessary. “It’s definitely possible to escalate if we don’t get a result,” Rysst said. Unions want ExxonMobil to grant a lower retirement age to 31 workers to bring them into line with other offshore employees, but the company said it would not discuss pensions. “In our opinion and also in the opinion of the Norwegian Oil and Gas Association, this is a matter that doesn’t belong in the negotiation or the mediation,” ExxonMobil spokesman Knut Riple told Reuters.